Click on the above image to view a larger version. 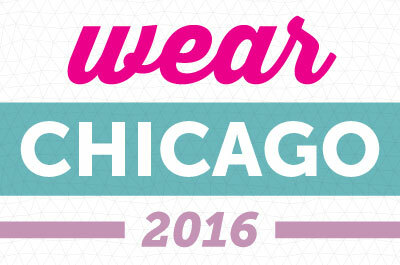 Event Information: The WEAR Conference is a culmination of effort between the greatest minds in the world of babywearing. The conference is dedicated to providing the latest research, education and support for babywearing educators and families. The event features a three-day line-up of sessions, two-days of exhibiting and continuing education credits for nurses, lactation professionals and serves as continuing education for CBWS graduates. Schedule: Our preliminary schedule is available here. We are so excited to be hosting 50+ sessions at the event. Shopping: We will have over 30 exhibitors in attendance, and in addition to our signature event elements, we will also have a huge pop up shop with a phenomenal local retailer. Hotel Information: Book your room at the beautiful Westin Michigan Avenue. Our group rate at the Westin is sold out. Parking: Affordable street parking is avialable throughout the area. Additionally, we have an exclusive deal for parking with Parking Panda. Click here for the best available rates. Use code "mommycon2016"
Food Options: The hotel is walking distance from some of the best affordable food options in Chicago! For a few of our favorites, check out our blog! How registration works: Print your ticket or save it on your smart phone. If your e-ticket is unavailable, please bring your ID to the MommyCon registration desk to receive your MommyCon badge or wristband. What do you need to bring: yourself, your bump, your baby and even your kindergartner! We plan around the growing family and offer a changing room, plush nursing area and even a play area. Children 16 years of age and under are free to attend with a paying adult. There is no limit to the number of children you may bring. Stroller Policy: We recommend that you leave the stroller at home. If this is not an option, please be mindful of crawling children and do not block the aisles. We will have a stroller check, but we are not responsible for lost or stolen items. Donations: We have teamed up with Share the Love for cloth diaper donations and The Carrying On Project for baby carrier donations. Both of these organizations take new and used items to give to families in need. Share the Love provides cloth diapers to families who could not otherwise afford them, and the Carrying On Project provides baby carriers to military families. Please remember that you will be receiving emails leading up to the event with more details and please follow us on Facebook for the latest updates! On twitter @mommyconusa On Instagram at @mommycon and at Facebook.com/mommyconusa. You can also join our private Facebook group here. Tickets are non-refundable, but can be transferred at any time by emailing your e-ticket to the new attendee. If you are in need of ASL interpretation services or any other accessibility accomodations, please email info@mommy-con.com with your ticket information 60 days prior to the event so we can discuss details with you.